Lawrence P. Finch is a personal wealth manager working with a select group of successful families helping them live a life without financial worries. Our comprehensive wealth management process includes investment consulting, advanced planning, and relationship management. 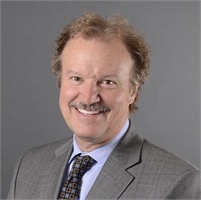 As Chief Financial Officer of G5 Financial Group, Larry lends his 30-plus years of experience to manage all financial aspects of the group, including its relationships with Geněos Wealth Management and other business partners. He is a registered investment advisor with Geneos Wealth Management and Financial Design and Management. Larry graduated from Colorado State University with a Bachelor of Science degree in business administration, accounting. He is a certified public accountant (CPA) and served as audit manager for the international accounting firm of Ernst & Young in Denver for more than nine years and as the chief financial officer of a local estate planning company for seven years. Larry has served many civic and charitable organizations, including the Denver Chamber of Commerce, and is a past board chair of the American Diabetes Association, Colorado Affiliate. An Eagle Scout, Larry has held many positions within the Denver Area Council of the Boy Scouts of America, including committee chair for Boy Scout Troup 140. Larry is also very involved in his children’s schools and is a member of the audit and finance committee for Regis Jesuit High School. He is also a member of the audit committee of the Catholic Foundation of Northern Colorado. Larry is a passionate outdoorsman and enjoys camping, backpacking, skiing, and golf. He and his wife, Lori, are both Denver natives and live in Foxfield with their four children: Tony, Alyssa, Anna, and Christina. Securities and investment advisory services offered through Genéos Wealth Management, Inc., member FINRA/SIPC. Investment advisory services also offered through Financial Design & Management, Inc.